After gaining most of my freelance work from Publishing houses at the end of last year, I decided to develop my portfolio further to target such companies as I thoroughly enjoyed working in Publishing Illustration. I wanted to create a series of images, all varied enough to be separated into individual pieces of work whilst being consistent enough and displaying my style, technique and abilities to any Publishing Houses I sent samples to. So I began my Alice in Wonderland series, a subject perfect for publishing illustration and with enough content and variety of characters and scenery to make for an ever expanding series. 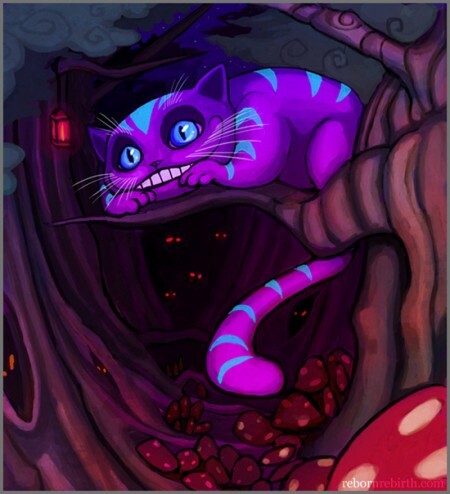 My first in the series is The Cheshire Cat, soon to be followed by characters such as The Rabbit, The Mad Hatter, The Red Queen and The Caterpillar. I’m really enjoying planning and drawing this series, it’s helping me add quality images to my portfolio and develop my scene and storybook illustration!